Continuing with my efforts to create a backdrop for Scotland, the country of my maternal grandmother, I wanted to talk a bit about the above Edward, also known as ” Longshanks” and “Hammer of the Scots”. He will forever live in the memory of Scots as the “villain of the piece” because of his murderous campaign to bring Scotland into union with England. The capture and decapitating of William Wallace was a measure of his intention. He was ruthless in his methods. Edward was born at Westminster in 1239. 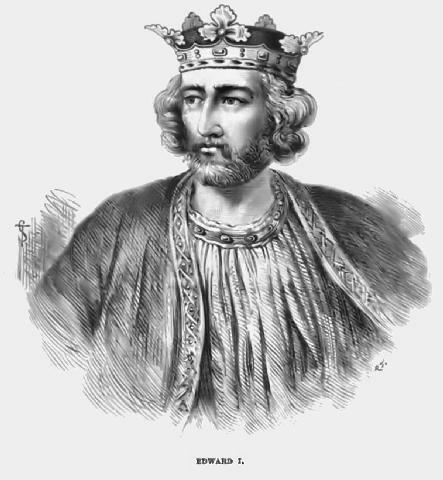 His father Henry III (b. 1207) was the first ruler of Britain from the Angevin or Plantagenet line in France. The name Plantagenet derives from the founder of this dynasty, Geoffrey V of Anjou who used to wear a sprig of broom (genet) in his hat. 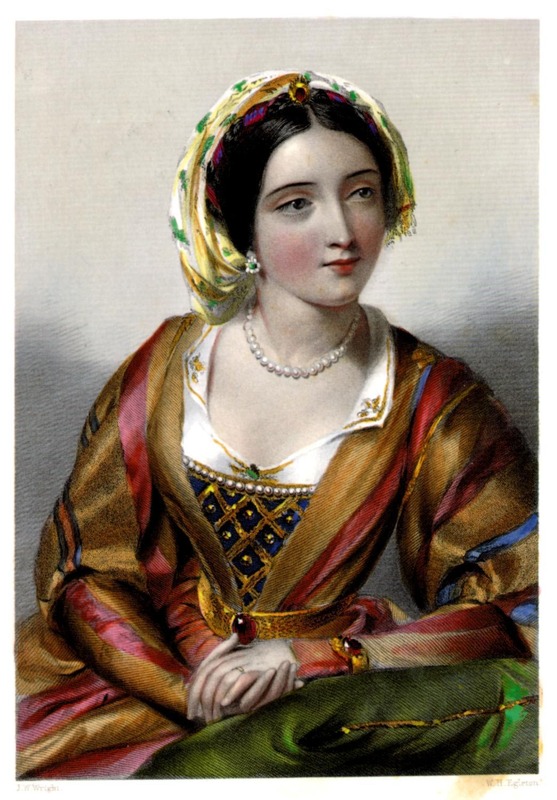 Edward’s mother was Eleanor of Provence. Henry was a weak and ineffectual ruler who caused trouble among the English by populating his court with the French family of his wife Eleanor. His barons took exception to this and led by Simon de Montfort , Henry’s brother-in-law and Earl of Leicester, they forced him to sign the “Provisions of Oxford” a guarantee of rights for the English people. Henry soon reneged on the charter and civil war broke out. During the Battle of Lewes, Henry and his son Edward were captured and held captive. Even after this, the Barons could not agree among themselves and another war broke out. Edward escaped and joined the side of the Barons. During this war, Simon de Montfort was killed. De Montfort laid the foundations for a parliamentary government in which the king could no longer rule alone. He had been a mentor to Edward and would have an influence on the way that he would rule. In 1254, Edward had married Eleanor of Castille (Spain) in a political effort by Henry to retain their lands in Gascony (France). Eleanor was 13 years old and Edward was 15. She went with him on a crusade to the Palestine in 1271 where she gave birth to a daughter, Joanna and to Wales in 1284 where he was building Caernarfon castle . There she had their son Edward who would rule after his father. In the end, they had 17 children together. Edward was so devoted to her that he had “the Eleanor Crosses” built for her after she died. While they were returning from the crusade, Henry died and Edward took the throne. He set about repairing the ruin of his father’s reign. He set up a system of administration and law in England which reformed the land laws and feudalism which had originated in France. He continued with the use of parliament for raising money in exchange for their approval on taxes. He completed the conquest of Wales, a place where the original British had been pushed to during the Norman Invasion. Thereafter, he set about building the round castle towers that now dot the countryside of Wales. He expelled the Jews from England and appropriated their property and money for his own use. Had things gone differently in Scotland after the death of Alexander III, Edward might have never been involved in “The Great Cause”. Alexander had maintained a time of peace with Edward by paying homage to him but for only those lands he owned in England. Thus the lands of Scotland were not under control by Edward. Two tragedies ensued, first Alexander’s accidental death while returning from his new young wife, Yolande and secondly, the death of Margaret the Maid of Norway, on her way to be married to Edward’s son which would continue the peace between both countries. At this point the country was thrown into chaos when as many as 14 claims were made to the Scottish throne. The barons decided to go to Edward to make a decision. This he would do only if they agreed that he was their sovereign. They agreed and Edward proceeded with all apparent legality. It was decided that John Balliol had the most legal right to the throne because he was a descendant of David I of Scotland through his mother. John Balliol was forced to swear homage to Edward but when Edward decided that Scotland had to fight with him against the French, the country’s magnates protested. The Scots made a treaty with the French, the “Auld Alliance”, upon the threat of an English invasion. They made an attack on Carlisle, in northwest England, which Edward countered with a horrible attack on Berwick where 8000 people were slaughtered, Edward’s idea of “making an example”. Later, at the Battle of Dunbar, the Scots were defeated and John Balliol was publicly humiliated, stripped of his regalia and sent to the Tower of London. 2000 Scots nobles and clergy were forced to sigh the “Ragman Rolls” declaring their homage and fealty to Edward. By 1296, Edward had an English parliament set up in Berwick which he rebuilt and troops holding castles across Scotland. This entry was posted in Scotland, The Family of Sarah Jane Clark and tagged british history, Edward I, Scotland by Shamwest. Bookmark the permalink. Reblogged this on Open Jotter. We got our revenge – eventually!